This is a dedicated topic to collect your feedback about CRYENGINE 5.4 (Major Release) in addition to the Launcher crash reporter, the GitHub Issue tracker and GitHub pull requests which we just established a process for. Please make sure you submit your feedback in the following format - we even made a copy/paste form for you to save you some work. Never just post the contents of a DxDiag or Crash Log File into a post! Attach it to the post as a document instead. Use the Spoiler tag to hide massive lines of code etc. so forum pages don't get cluttered. 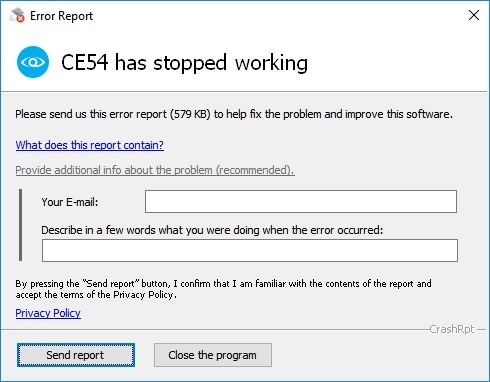 Another thing: If the engine / sandbox crashes, and the crash reporter pops up, please provide additional information about the problem as is recommended. Just let us know what you did before the crash. It helps us a lot to identify issues quicker. For additional information, please kindly review our 'How to submit Feedback-Guide' before posting to make sure all the information is validly displayed and communicated to our engineers can process it well. EDIT: This is the build feedback thread, if you want to have a discussion about the 5.4 release or its features, please move your conversation to the announce thread, thanks! Please help us keep this thread tidy so our engineers can go through your bugs and issues with ease. Prob will be done day today. Seems more preparation for it. Yes it says major release. Its not a preview. 2. Select only Adobe Photoshop and XNormal packages. Failed to install files. Make sure 'Adobe Photoshop' is closed before running the installer. Error: Access to the path 'C:\Program Files\Adobe\Adobe Photoshop CC 2017\Plug-ins\File Formats' is denied. 1. Manually creating the File Formats directory in Windows Explorer. 2. Giving the Everyone group full control of File Formats directory. - HDR debug info was rendered twice with different font size and overlapped. HDR Debug Info seems that it doesn't provide correct value, can anyone re-check that? when you active HDR Debug, sometimes it vastly drops FPS, please re-visit this issue. Last edited by excreation on Fri Sep 22, 2017 4:14 am, edited 1 time in total. You have to double left-click(or middle-click) on object's name in level explorer to let property panel focus and then you could perform editing, this automatically involves an additional "goto" action. i think this makes things a little bit tough/inconvenient when you're editing your scenes. i think the property panel should reacting instantly once you perform a "single click" on object's name in level explorer panel and don't do automatic "goto" (we already have "g" to perform this). tick "sync selection" could save my soul. Last edited by excreation on Fri Sep 22, 2017 7:15 am, edited 1 time in total.